If you are seeking to improve your knowledge and skills when it comes to high finance, BOTI offers a range of courses that provide a detailed overview of the fundamental concepts involved in investment banking, corporate finance, private equity, corporate development, equity research, financial modelling, treasury, financial planning and analysis (FP & A) and a great deal more. Book your seat now on one of BOTI’s investment banking courses or financial modelling courses! Home » Invest in your training with Investment banking fundamentals and get the low-down on high finance! Welcome to the world of investment banking. With BOTI you will advance all the way to the JSE and beyond! If you are seeking to improve your knowledge and skills when it comes to high finance, BOTI offers a range of courses that provide a detailed overview of the fundamental concepts involved in investment banking, corporate finance, private equity, corporate development, equity research, financial modelling, treasury, financial planning and analysis (FP & A) and a great deal more. BOTI offers business training programmes across South Africa! Book your seat now on one of BOTI’s investment banking courses or financial modelling courses! Ever wondered what really goes on in the capital markets? Look no further! Learn the essentials of corporate finance and establish who the main participants in the capital markets process are and what the capital raising process involves as well as how to structure a deal or finance an acquisition. BOTI offers business training programmes across South Africa! Book now! When you enrol with BOTI you achieve your goals in high finance! That’s the bottom line! When you enrol with BOTI you achieve your goals where high finance is concerned, that’s the bottom line! You will learn the main business valuation techniques, types of valuation multiples, types of debt as well as equity securities and we provide you with an overview of the various aspects involved in the capital structure of corporations, sources of funding, what actions are taken to increase the value of a company to shareholders and the tools and analysis involved in allocating financial resources. Specifically designed for those who are already involved in the tasks of financial analysis and financial modelling, our material has been expertly compiled and presented in a format that will teach you all the functions and formulas, shortcuts, tips and tricks you need to become an Excel whizz. Learn how to map your own course, all the way to the JSE and beyond! Based on first-hand investment banking training programs, you will learn how to map your own course, all the way to the JSE and beyond! Learn the basics of Excel and rapidly advance to a more complex level with techniques that go beyond mere demonstration to prove that even an expert is guaranteed to learn something new. Improve your spreadsheet building skills and leave your mouse behind by learning to use only keyboard shortcuts. Become an expert at dealing with more sophisticated functions and formulas as well as a higher level of financial analysis and financial modelling and hone in on finance-specific formulas used in everyday, on-the-job financial analysis. Don’t delay, enrol now on one of BOTI’s investment banking courses! When you enrol with BOTI you will learn everything you need to know about Excel as an indispensable tool which is used in the day-to-day tasks involved in the field of corporate finance. BOTI offers on-the-job analyst training that involves industry leading best practices and techniques. You will be introduced to the fundamental concepts and have the opportunity to get on good terms with bond pricing, duration and yield curves, all of which are extensively explored. 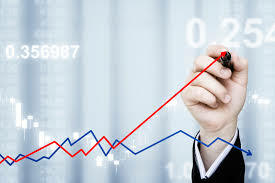 Throughout the training period of any one of our investment banking courses, you will be taken through a variety of applied exercises and case studies as well as sophisticated search and navigation tools that enable you to progress at your own pace with pop quizzes to test your level of progress. Learn about the core features of what a bond entails comprising the issuer, coupon and maturity date. We take you through the key issuers and discuss ratings for bonds. The yield curve is the key driver of changes in bond prices. Learn to analyse shapes of typical yield curves in tandem with how the yield curve moves through the economic scale. To illustrate the various discussion points we use Bloomberg’s DES, YAS, and IYC screens. We provide an introduction to fixed income fundamentals and the principal products and players involved in the fixed income markets and show the points covered using real market data and examples of the most frequently used Bloomberg screens for bonds. We also cover the key features of fixed income securities and bonds and you will also develop an understanding of the yield curve and what it represents as well as how to track yield curve changes throughout the economic cycle. Book your seat on BOTI’s Fixed Income Fundamentals and Math for Corporate Finance [Financial Mathematics]course now. We give you a full demonstration of how bonds are priced using discounted cash flow and examine the relationship between the bond price and yield. We also explore clean prices, dirty prices and accrued interest and you will develop an understanding of how bond prices move as their yields move which is a core concept in the fixed income market. We explain both Macaulay and modified duration and suggest an intuitive explanation of these concepts prior to analysing detailed calculations. Using DCF to price bonds. Understanding the relationship between bond prices and yields. Using duration to understand how bond prices move in the market.